New research shows one of olive oil’s polyphenol compounds can help stave off Alzheimer’s, cancer, inflammation, and arthritis. But not all olive oil contains this compound. In fact, some contain none! Find out which kinds provide the highest level of olive oil health benefits. One of the principle polyphenol compounds in olive oil, provides enormous health benefits. Olive oil health benefits may include protection from Alzheimer’s and cancer as well as treatment of arthritis. With few diseases scarier than Alzheimer’s and cancer, and few conditions as common or painful as degenerative arthritis, it’s good to know that a natural food as delicious and versatile as olive oil benefits all three. The recent discovery that olive oil contains a health-promoting polyphenol called oleocanthal challenges the assumption previously held by nutrition experts that olive oil health benefits come mainly from its healthy monounsaturated fat content. It is now known that the oleocanthal, one of the principle polyphenol compounds in olive oil, provides enormous health benefits. In addition to its significant anti-inflammatory properties, new research suggests oleocanthal has powerful anti-cancer abilities and can even prevent Alzheimer’s. However, not all olive oil contains oleocanthal. Some olive oils contain none at all, while others contain quite impressive amounts. And it doesn’t seem to matter where the olives were grown or what varieties of olives are used. So what does the oleocanthal level depend on, then? And how can you tell if your olive oil contains high amounts of these potent chemicals? Unfortunately, this information is not typically listed on the label. Nevertheless, there are ways you can greatly increase the likelihood of purchasing olive oil with a high oleocanthal concentration and thus be in the best position to obtain olive oil health benefits. The best way to maximize the oleocanthal content of your olive oil is by purchasing one that is from “early harvest” olives. Olives typically don’t fully ripen from green to black until late winter. Green olives picked in the fall tend to be higher in polyphenols like oleocanthal and in antioxidants. In fact, a recent study of 175 single varieties of commercial Greek and California olive oil samples confirmed that the earlier the time of harvest, the more oleocanthal the oil contained. Many people like the peppery and bitter quality of early harvest oil which contains flavors of grass and green leaf and is more pungent and astringent. These qualities, along with its bright green color, are due to the naturally occurring polyphenols, including oleocanthal, found in the olives. Extra virgin is the highest grade of olive oil. If you make sure to choose an early harvest olive oil, it will likely automatically be extra virgin. As with all “virgin” olive oils, it is considered the natural juice of the olive fruit. It is made without the use of chemicals or excessive heat and must meet certain standards in terms of taste, smell, and chemical composition. Extra virgin olive oil is produced by the first pressing of the olive fruit through the cold pressing process and must be less than 0.8 percent acidity. As an unrefined, natural product that has undergone very little processing, extra virgin olive oil retains its nutritive value and contains the highest levels of polyphenols like oleocanthal. 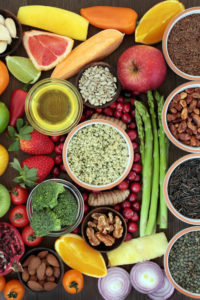 Other categories—”pure” or “light” oil, “olive oil,” and “pomace olive oil”—have undergone chemical refinement that strips away olive flavors and many of the oil’s health benefits. Unfortunately, despite recent involvement from the USDA, many companies around the world deceptively sell inferior grade olive oil as “extra virgin.” True extra virgin olive oil doesn’t have to cost a fortune or be purchased from specialty shops, but you have to do your research since it’s not always easy to make sure you’re getting true extra virgin olive oil. Web sites like Truth in Olive Oil, and Olive Oil Source can be helpful in finding the real deal. Oil should be bottled in dark glass or other containers that protect against light. To ensure freshness, look for bottles with a date of harvest, or at least a “best by” date. Try to buy oils only from this year’s harvest. Avoid oils whose precise point of production—a specific mill—is not specified on the label. Certifications mentioned on olive oil labels can provide a level of confidence that an oil has been properly made. Look for PDO (Protected Designation of Origin), PGI (Protected Geographical Indication), or certifications from national and state olive oil associations, such as the Australian Olive Association, the California Olive Oil Council, and the Association 3E. 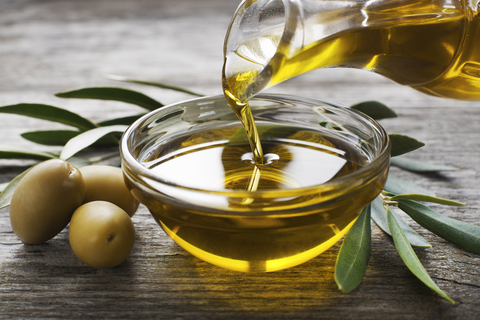 Is It the Oleocanthal or Other Factors Responsible for Olive Oil Health Benefits? It is unlikely that oleocanthal in olive oil is solely responsible for olive oil health benefits. There are other polyphenols, as well as its monounsaturated fatty acids, that make olive oil a super health food. In terms of Alzheimer’s disease, eating a traditional Mediterranean diet, high in olive oil, is associated with a reduced risk of cognitive decline and dementia in observational studies. At this point, it is not known how much of this is due to the oleocanthal in olive oil and how much is due to other factors associated with this dietary pattern. In addition to a high intake of olive oil as the main source of fat, the traditional Mediterranean dietary pattern is characterized by a high consumption of plant foods (i.e., vegetables, fruits, legumes and cereals), a moderate intake of fish, low-to-moderate intake of dairy products and low consumption of meat and poultry, with wine consumed in low-to-moderate amounts during meals. Therefore, moving toward a more traditional Mediterranean-style diet incorporating an early-harvest extra virgin olive oil may be your best bet for staving off Alzheimer’s. For the best results, eat one or two tablespoons per day of an early harvest extra virgin olive oil a day and increase your plant food consumption. Coconut Oil: A Novel Dementia Treatment? J Agric Food Chem. 2012 Nov 28;60(47):11696-703. Proc Nutr Soc. 2013 Feb;72(1):140-52.
alzheimer, anti inflammatory, antioxidants, arthritis, cancer, coconut oil, cognitive decline, dairy, degenerative arthritis, dementia, dementia stages, dementia treatment, diet, food, health, health food, ketogenic, ketogenic diet, mediterranean diet, mediterranean style diet, nutrition, oleocanthal, polyphenols, vegetables, wine. best information I’ve found about how to tell a good olive oil. Thank you!